Ciao. Staci here. I chose to look at spin-offs because I’m currently writing a spin-off (the Nightforce Security Series, spun off from theMedici Protectorate Series) and wanted to explore what makes a spin-off successful. 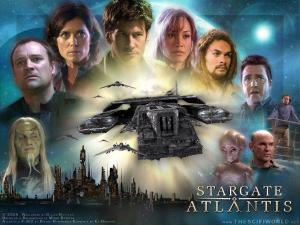 I choseStargate Atlantis because it’s a brilliant spin-off ofStargate SG‑1. Each series was strong in its own right and solidified theStargate franchise as a force to be reckoned with in the sci-fi world.